Vista 7.3: No Refuge, No Recourse 2017 mixed media 11.5 x 10 x 5 in. Courtesy of the artist and Lesley Heller Workspace, New York. 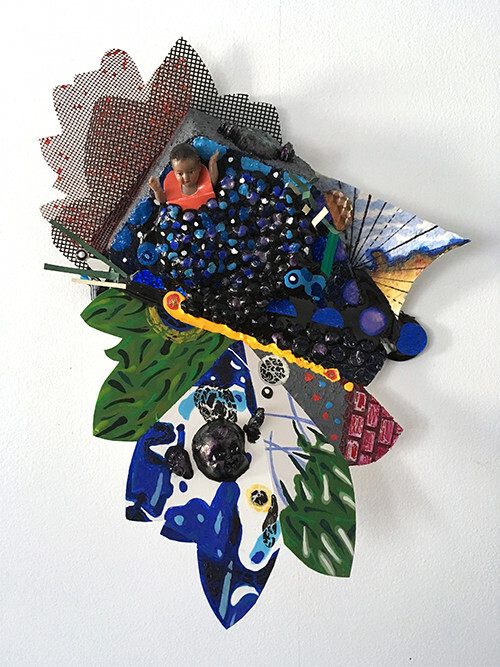 NICOLE AWAI is a multi media artist. She earned her Master’s Degree in Multimedia Art from the University of South Florida in 1996. She attended the Showhegan School of Painting and Sculpture residency in 1997 and was artist in residence at the Studio Museum in Harlem in 2000. Awai was a featured artist in the 2005 Initial Public Offerings series at the Whitney Museum of American Art. Awai was awarded the Joan Mitchell Foundation Painters and Sculptors Grant in 2011 and an Art Matters Grant in 2012. She currently teaches at the University of Texas at Austin. Her exhibition at Lesley Heller runs through June 30,2017.